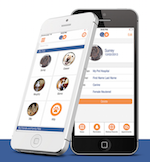 Take control of your pet’s health by downloading their simple to use app from the App Store or Google Play. Click the links below! Find out how we have integrated VitusVet into our daily work! Contact us online or by phone at 240-252-7467 to schedule an appointment for your dog, cat, or pocket pet.